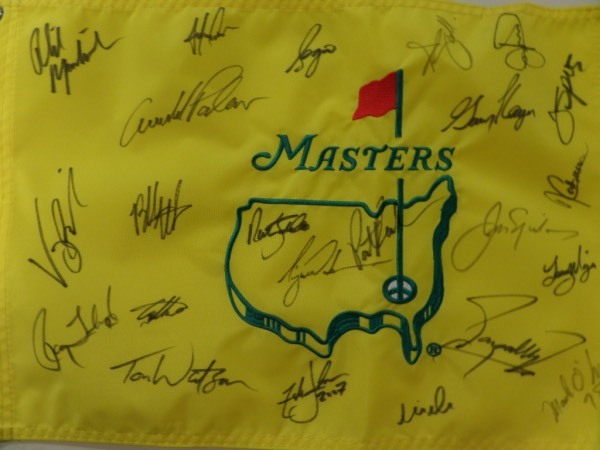 Coach's Corner - Masters Champions multi signed Masters pin flag, by 23 with ALL the BIG STARS!!! Go Back to Lot List Masters Champions multi signed Masters pin flag, by 23 with ALL the BIG STARS!! !